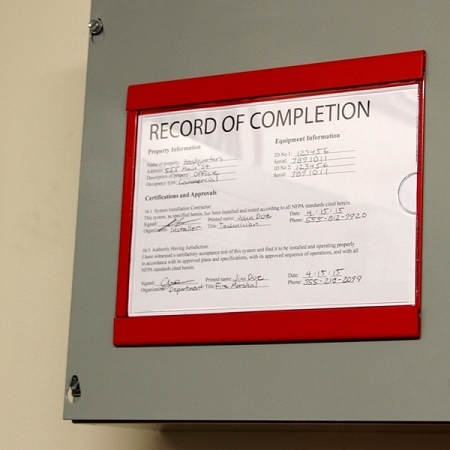 The location of all system records is now required Per NFPA 72 (2013) 7.7.2. 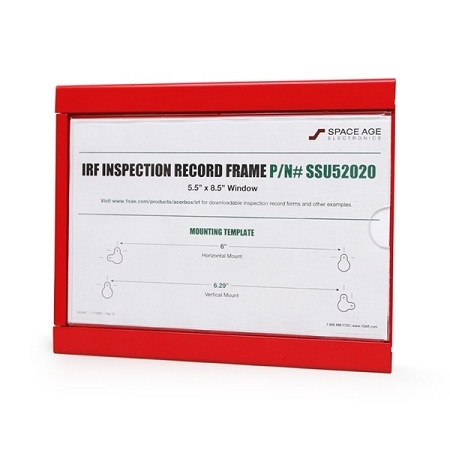 The IRF is designed to help you comply by prominently and professionally displaying the sign-off records and/or the location of all system record documents. 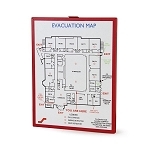 The frame was designed using a RED powder coat and durable Lexan window to compliment professional code compliant installation. Mounting may be horizontal or vertical with included hardware, or aggressive adhesive strips on the back may be used to effectively mount the frame to any cabinet or enclosure where screws are not practical. It is a perfect compliment to the SYSTEM RECORD DOCUMENTS box (SSU00689) to facilitate a total document solution. 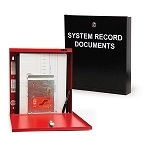 The location of all system records is now required Per NFPA 72 2013 7.7.2. The IRF is designed to help you comply by prominently and professionally the sign-off records and/or the location of all system record documents.